… so I have been a bad blogger, it’s been 4 months since my last blog! The summer has been crazy in the bakery with back to back weddings keeping me out of mischief and the sun (not that we have had much of that). Hopefully this cake will make up for it! The idea came as my lovely boyfriends birthday approached. Even though he told me not to make a cake as he knew how busy I had been, I just couldn’t leave him out. Now as far his favourite things go, it’s football, football and football. 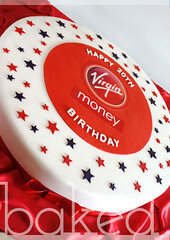 Last year I made him a Sunderland AFC shirt cake which went down well but I needed a change of theme. He loves Ferrero Rochers… so I got to thinking. 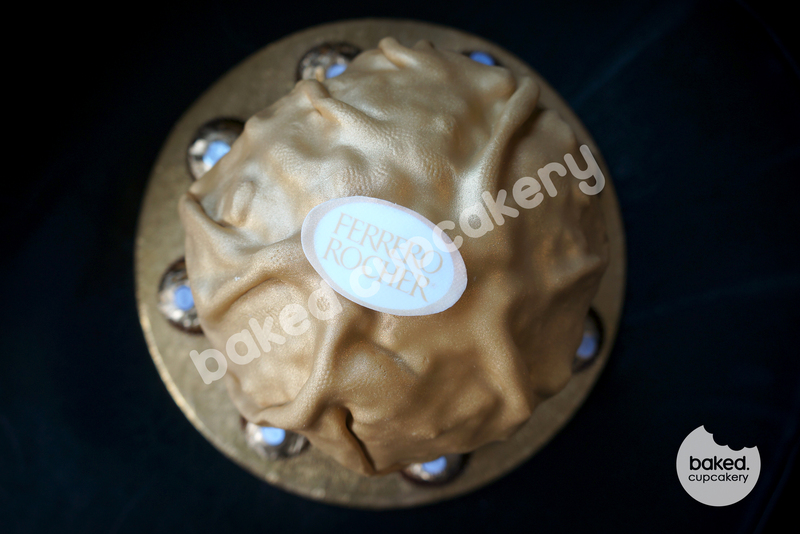 What could be better than a giant Ferrero Rocher! So there you have it. 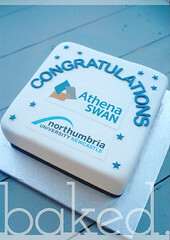 The cake had a real chocolate case filled with delicious, moist chocolate sponge. 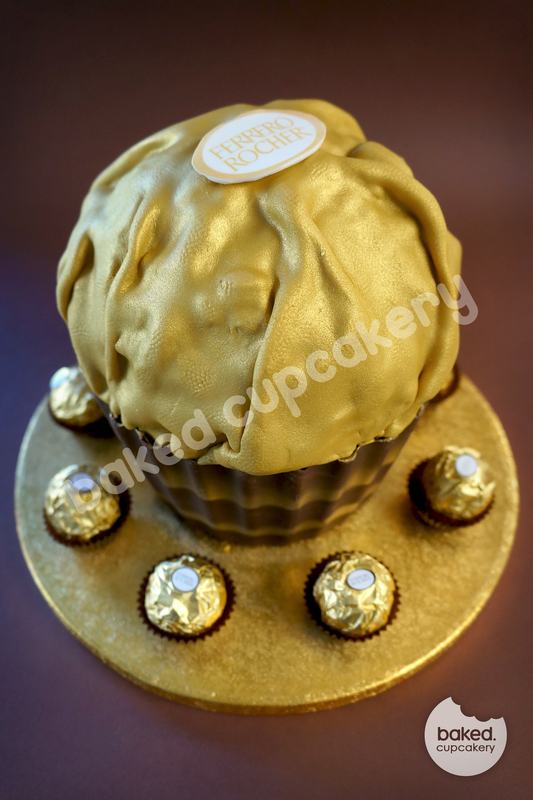 The sponge was sandwiched with a hazelnut/chocolate frosting and covered in crushed Ferrero Rochers. 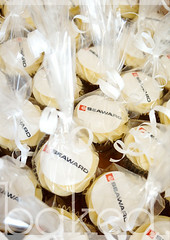 It then had a thin layer of gold icing to finish it off. 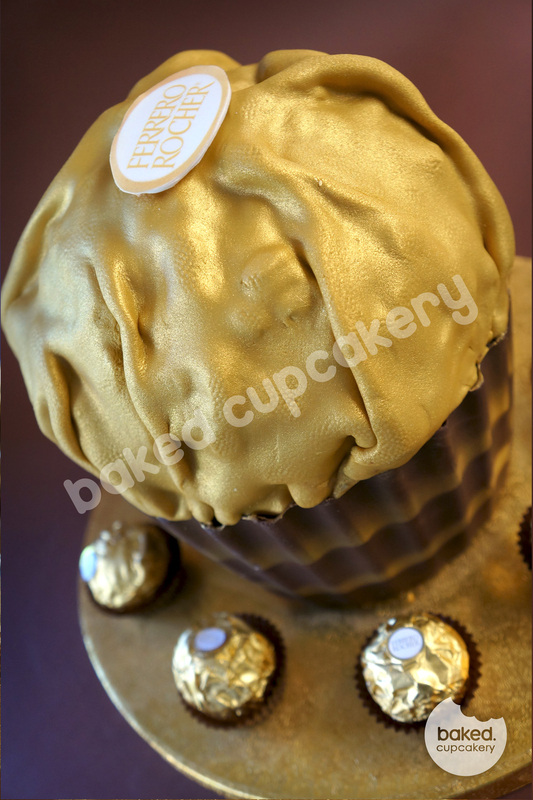 And just in case there wasn’t enough Ferrero Rocher goodness, I put some extra little treats in a ring around the cake. Heaven!